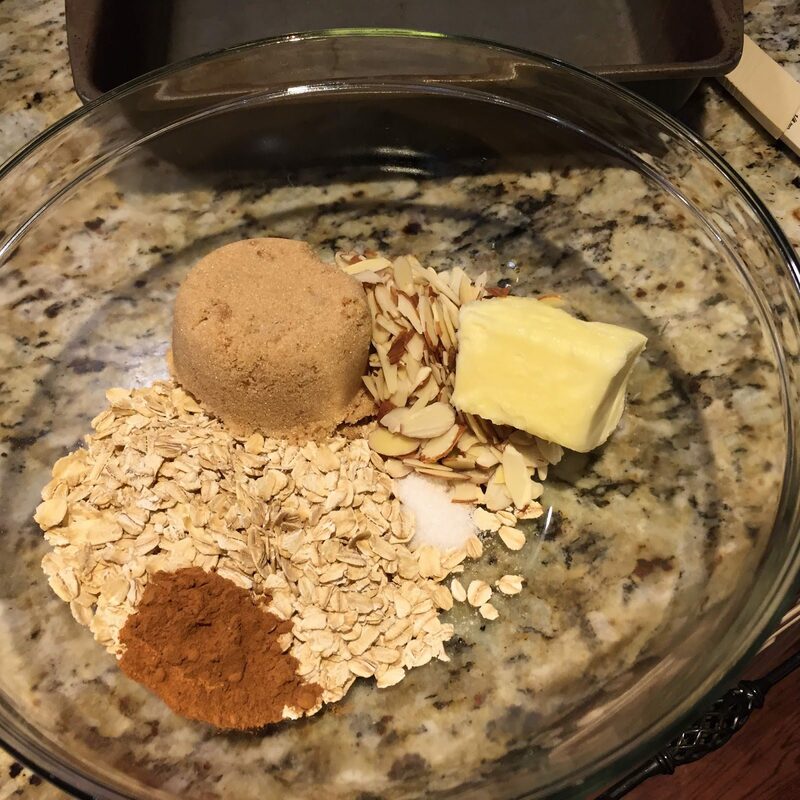 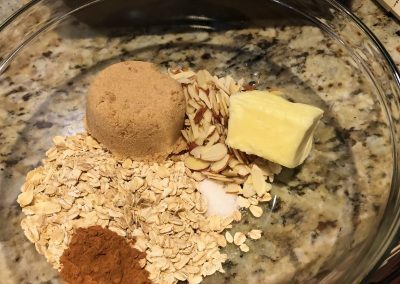 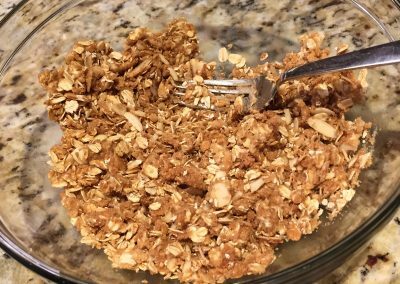 Topping: Preheat the oven to 325 degrees F.
In a small bowl, combine the oats, sugar, almonds, butter, cinnamon and salt. 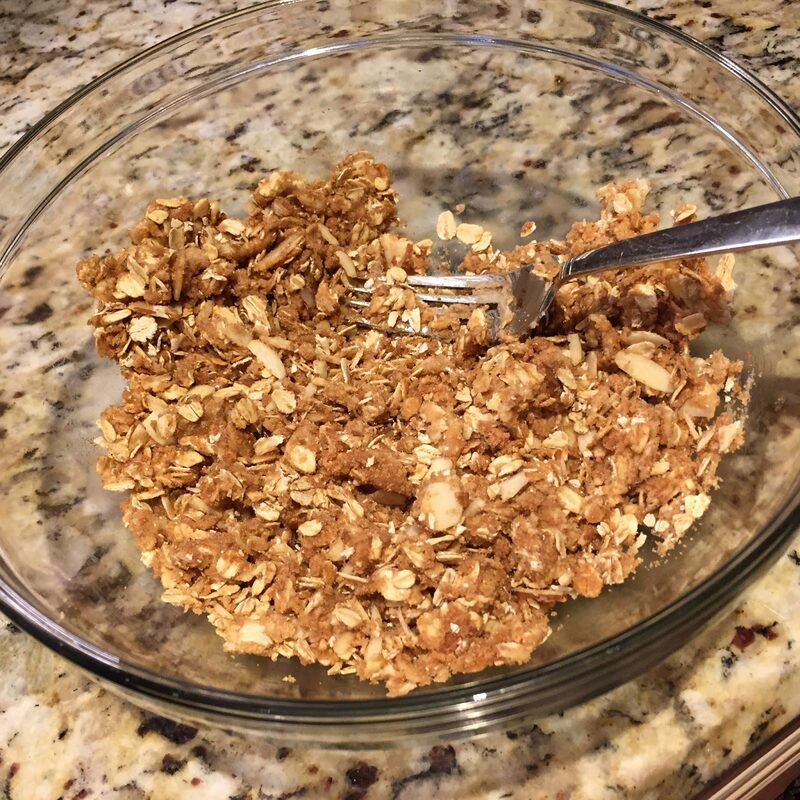 Stir with a fork until the mixture resembles coarse crumbs; set aside. 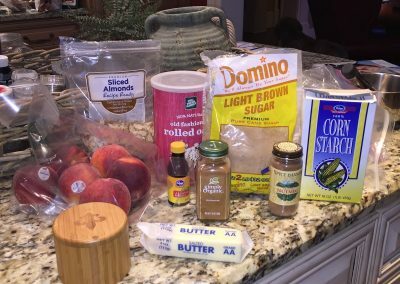 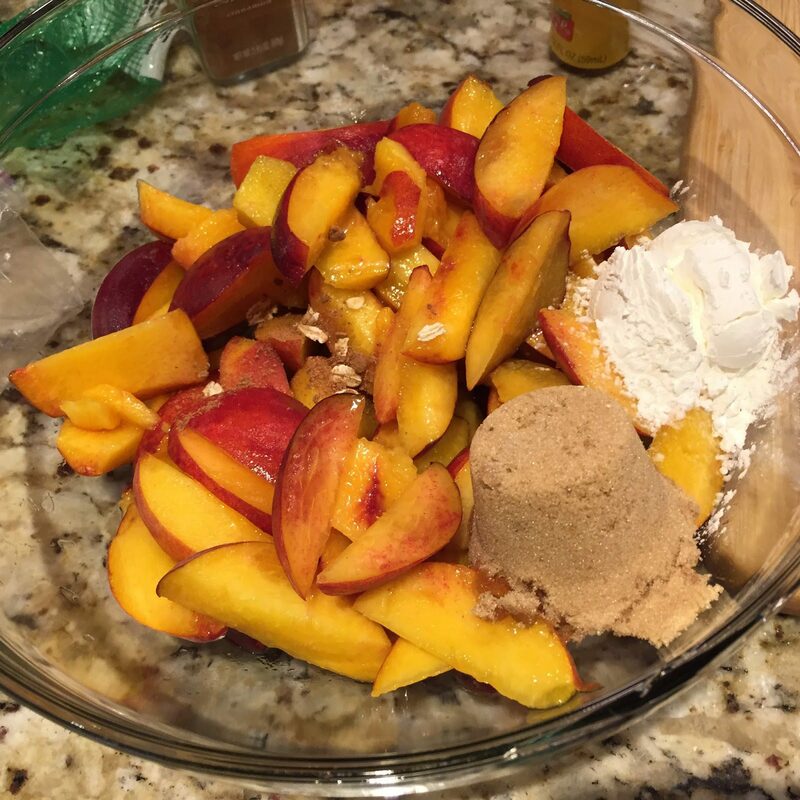 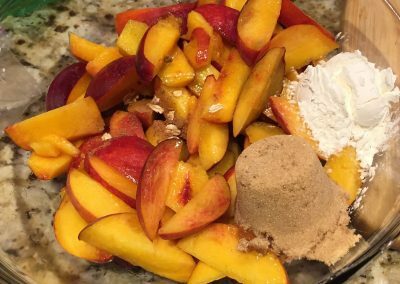 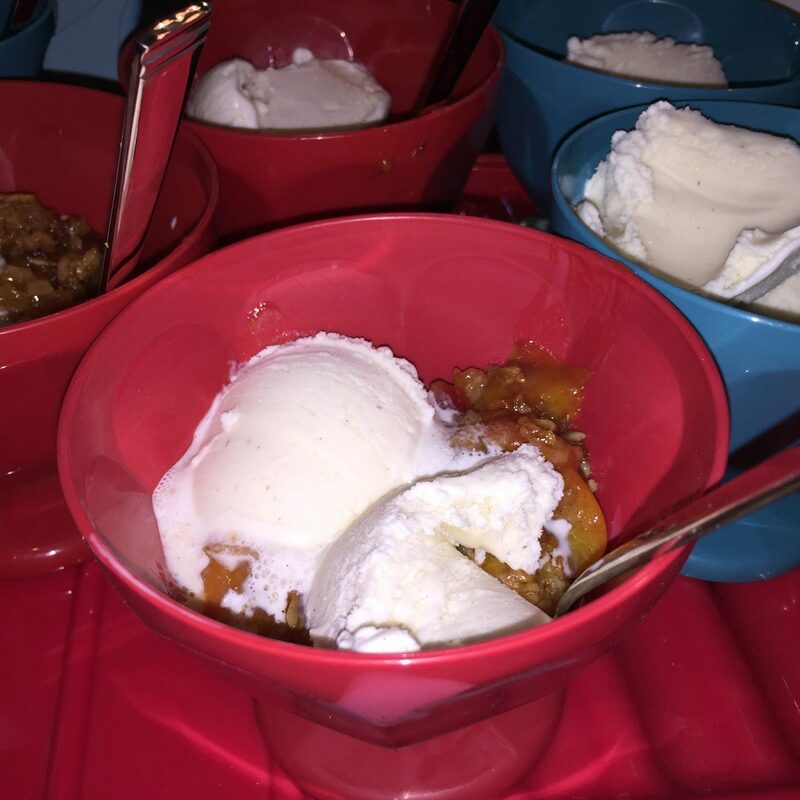 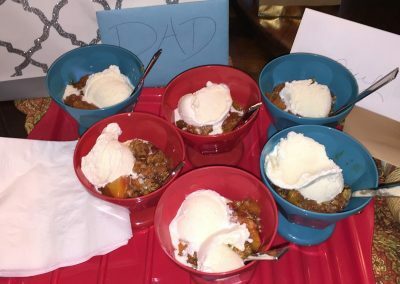 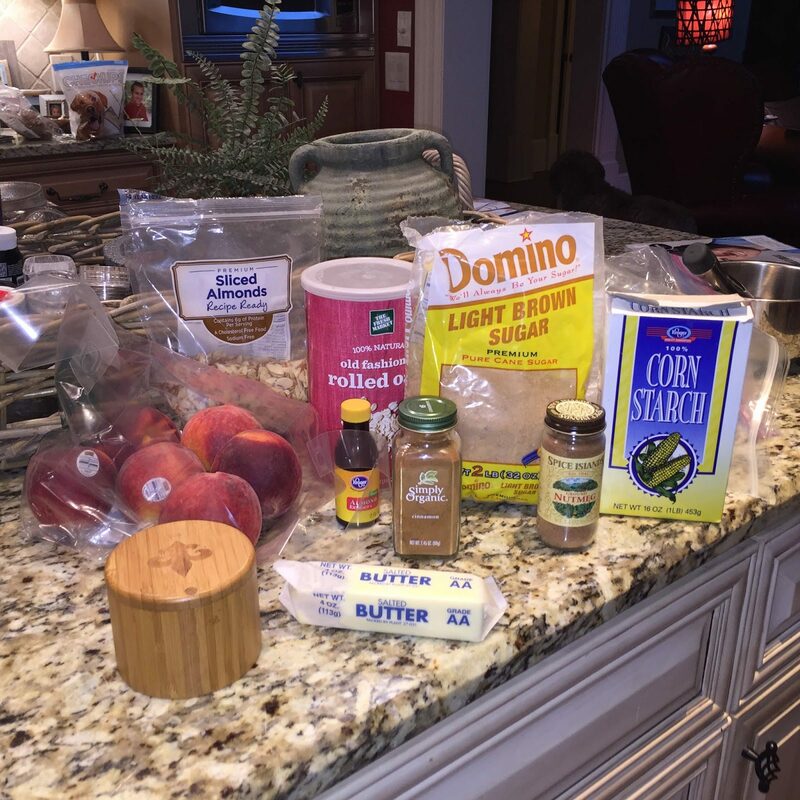 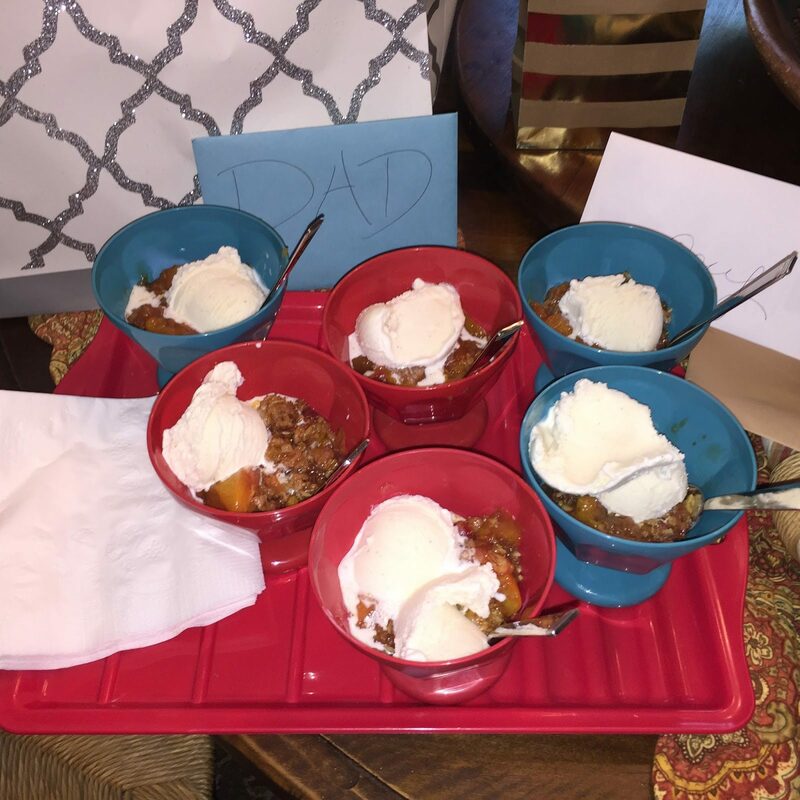 Filling: In a medium bowl, stir together the peaches, sugar, cornstarch, almond extract and nutmeg. 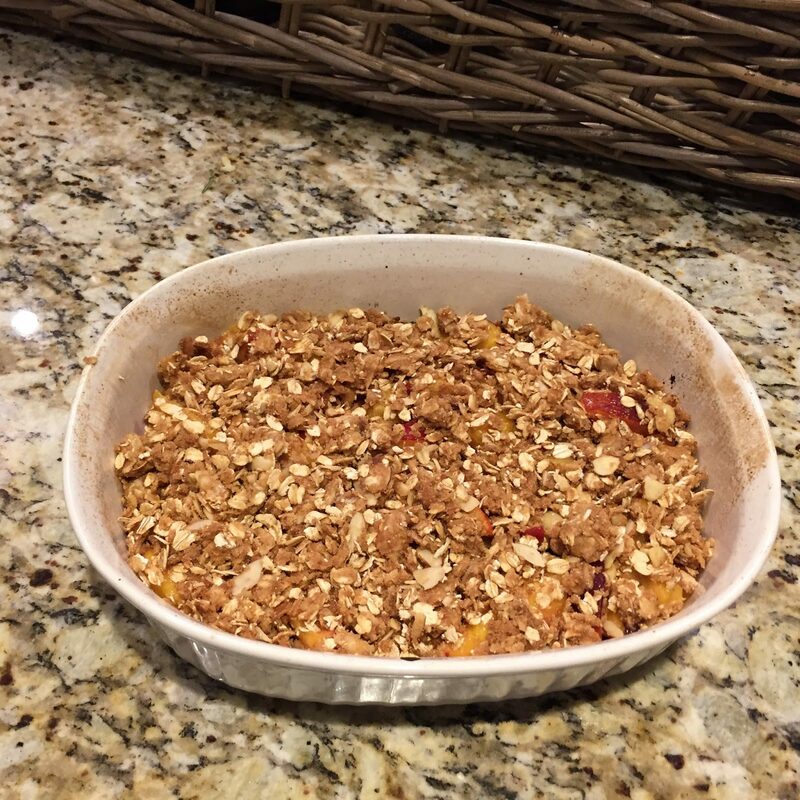 Transfer to an 8- or 9-inch shallow baking dish. 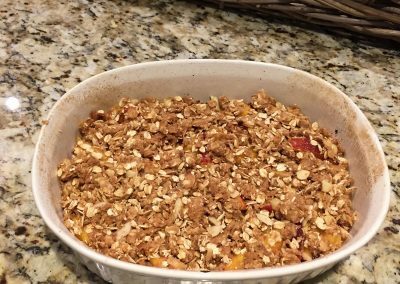 Crumble the topping over the peach mixture. 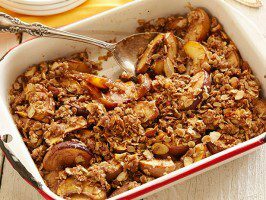 Bake until the filling is hot and bubbly and the topping is golden brown, 40 to 50 minutes. 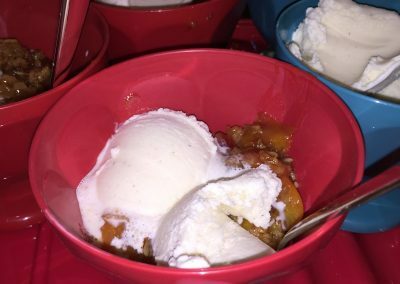 Serve warm (with vanilla ice cream, if desired).